MechAssault 2: Lone Wolf is a 2004 video game developed by Day 1 Studios and published by Microsoft Game Studios exclusively for the Xbox console. It is the sequel to 2002's MechAssault and is backward compatible for the Xbox 360. Pull the trigger... Lethal destruction from a whole new perspective is at your finger tips. A lucky shot managed your Mad Cat. It's payback time. Suit up in BattleArmor and seek an enemy 'Mech to "jack." What's yours is yours and what's theirs is yours too...if you're good enough. Crush the Word of Blake in campaign mode or take the fight online with Xbox Live. When you're ready...join a Clan and rule the universe...it's called Conquest. Punish the enemy in BattleMechs, tanks, VTOLs, or BattleArmor in a thrilling single player campaign spanning 20 missions. Join a clan on Xbox Live, annihilate the enemy and dominate the universe planet by planet...Simple...yea right. It's Conquest, it's persistent, and it's a whole new game. How good are you? Prove it on Xbox Live. Game stats and rankings are broadcast real time directly from the game to MechAssault2.com. Computer games are explicitly excluded from the list of products that contribute straight Canon to the BattleTech universe while at the same time it was stated that the IP owners are "not in total denial about these sources either"; it has also been stated that fluff from certain official, licensed products (namely certain computer games including those produced by Microsoft) can be assumed to be part of the shared universe as long as it is not directly contradicted, and makes sense. On this premise, MechAssault 2: Lone Wolf is considered to be an apocryphal product. In the game, Dante is depicted as having a thriving black market for technology and is a great place to avoid the Blakists (until they invade at the outset of the Jihad). Per canon, Dante is an Omniss colony that rejects advanced technology and, therefore, was unable to resist when Blakists seized it, disguised as pirates, in the 3060s. Thus, it is unlikely to be a viable center for technological research while hiding from Blakists. All the JumpShips in the game have the appearance and maneuverability of WarShips. JumpShips in the game can cover hundreds of light years in a single jump, versus the canonical limit of 30 light years under normal circumstances. They seem to suffer none of the drawbacks of any known technology that could increase jump range nor would they have access to such technology in the first place. In the game, Wolf's Dragoons' Beta Regiment is wiped out on Northwind by a Blakist surprise attack. Per canon, Beta was destroyed during the failed Allied Mercenary Coalition attack on Mars. In the game, the Blakists have the Northwind Highlanders under lockdown in military prisons. Per canon, the Blakists destroyed their communications, aerospace assets, and interstellar transports, and tricked the inhabitants into thinking there was an ongoing blockade. In the game, Jerome Blake developed data cores with nigh-magical powers around the year 2500 to power a golden age, but hid them on various worlds under the protection of a ComStar secret society called the Covenant. He also invented a super-heavy SpiderMech drone to guard one of the cores. Per canon, Blake was the highest ranking surviving official of the Star League to remain on Terra after Kerensky's Exodus in 2784, had no mythical or magical powers, and there is no indication he had any interest in 'Mech design. In the game, the Word of Blake launched the Jihad in an effort to find and claim the data cores. Per canon, the Jihad started as essentially a series of accidents and misunderstandings in a misguided Blakist effort to reverse the dissolution of the Second Star League. After recovering the mysterious Datacore from Commander Strader's Ragnarok Assault Mech on Helios, the surviving Wolf's Dragoons: Major Natalia Kerensky, Lieutenant Foster, and the MechWarrior, are ordered to go off the grid on a black ops mission to see if they can learn its secrets. The team use the Outworlds Alliance planet Dante as their secret base of operations. It is here that Lieutenant Foster uses the knowledge in the Datacore to design and construct a prototype battle armor, a more sophisticated version of the standard Clan Elemental armor. 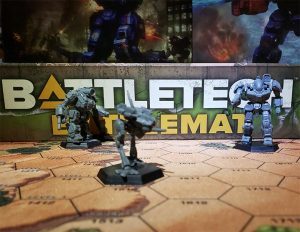 One evening, as Foster and the MechWarrior (player) are returning to their workshop, mysterious craft enter the Dante airspace and a Stiletto BattleMech lands on the ground and starts searching for them. They successfully evade the Stiletto and make it back to the workshop, as the Dante Militia square off against the Blakist forces in the streets of Dante City, Major Kerensky orders the MechWarrior to don the experimental battle armor and assist the beleaguered Militia stop the invaders. After this, hundreds of DropShips enter Dante's atmosphere. Mysteriously, one of these DropShips is shot down by the others. After fighting to the crash site, a strange new MechWarrior by the name of Alera emerges, a pirate with a JumpShip named the "Jessabelle". Later, the MechWarrior escapes an enemy port, and steals an enemy tank from three soldiers in an attempt to infiltrate the enemy. An allied APC then comes out and follows the MechWarrior on his way. The tank must go through two scans to advance the level, but however, the "Passenger Scan" warns the enemies that it is a trick, and the MechWarrior and his allies must escape the port with a tank. Later the MechWarrior is able to get an Owens BattleMech. During the final mission, the MechWarrior with the aid of his allies uses the BattleArmor to destroy a half-complete giant BattleMech that uses all five of the data cores. Tragically, at the conclusion of the battle, Alera dies to save the MechWarrior and the team. The game is notable as allowing the player to control a variety of vehicles other than 'Mechs. 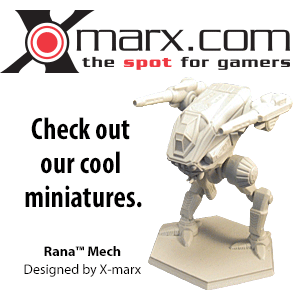 These vehicles include tanks, battle armor, turrets, and VTOLs. The game also allows the player to leave their vehicle and plant explosives or roam around as a human/pilot. An interesting aspect of the game is the ability to "hitch" rides on friendly 'Mechs and VTOLs, while wearing battle armor. It is also possible to do the same to enemy 'Mechs and attempt a 'neurohack', with the result of ejecting the pilot and taking over his 'Mech if successful. MechAssault 2: Lone Wolf's multiplayer consists mainly of an OptiMatch feature,where games of a certain type are shown. It also has a Conquest mode that was very popular at the beginning of the game's life but due to flaws in the design of the Conquest mode quickly died down in popularity. Due to the high level of teamwork required, many clans enjoy competing on third party ladders such as Gamebattles. The limited edition had a holographic cover. It came with everything the standard version had, along with a bonus disc that included new maps for multiplayer and a behind-the-scenes video of the making of MechAssault 2. It is important to note that several 'Mechs are simply renamed variants of other 'Mechs. The original 'Mech type, in the event that both names exist as their own 'Mechs in canon, will be listed first(example: the Bowman is a reskinned Catapult). Some of these 'Mechs are original, and may have been added to the canon after the release of this game, such as the Raptor as the Raptor II. The battle armor is the highlight of MechAssault 2: Lone Wolf. It is similar to the Elemental. In the original MechAssault, the Elemental is actually referred to as the battle armor. It has several new features unique to MechAssault 2, a couple of which separate it from the other units in the game: it is capable of neuro-hacking a mech, climbing steep inclines, using Jump Jets, and hitching rides on VTOL craft. The battle armor was developed by Lieutenant Foster from information he retrieved from a Datacore the MechWarrior found on Helios from their Ragnarok Mech. It was first used on the planet Dante when the MechWarrior and his two companions were under attack by the Word of Blake. Having not enough firepower, they decided to use the battle armor even when Lieutenant Foster expressed his concern that the battle armor wasn't ready yet and it could fry the MechWarrior. This page was last edited on 26 March 2019, at 07:37.